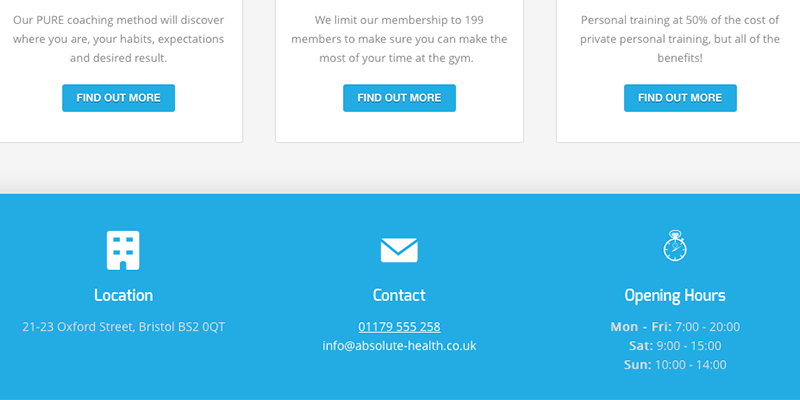 Absolute Health is a full service gym, based in Temple Quay. 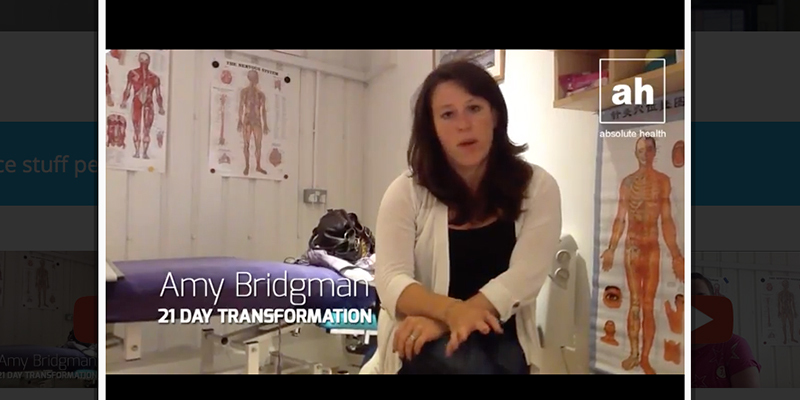 They offer gym membership, personal training, health screening, physiotherapy, massage, nutrition advice and much more. We’ve been working with AH since 2010 as the business has changed, so has their website! 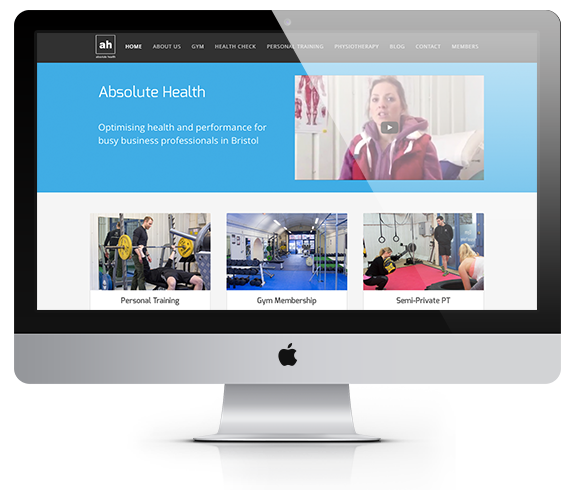 In fact we’ve worked on numerous website projects with AH, including a charity event site, a pop-up gym site, an online training programme site, and of course, the main Absolute Health site. 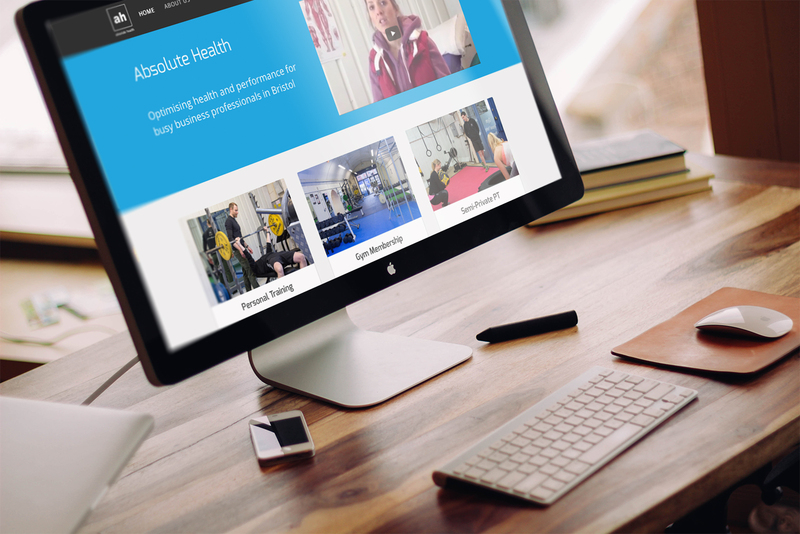 In 2015 we developed a new, responsive site to showcase all the services provided by Ed and the team, as well as loads of great content for new visitors and restricted content for members only. When we started working with AH they had a very basic WordPress site that had limited options. Since then we’ve really got to know the bones of how AH works and what functionality would help reduce their admin and increase their signups. In 2015 we created a new site from scratch, refreshing the old site to make it responsive on all devices and bring it up to date in terms of style and functionality. We worked with Ed, owner of AH, to find a WordPress theme that he liked and customise it to their needs. First we took a carbon copy of the existing site, with all their settings, data and content, and installed it on our test server, then made the design updates there for AH to review. 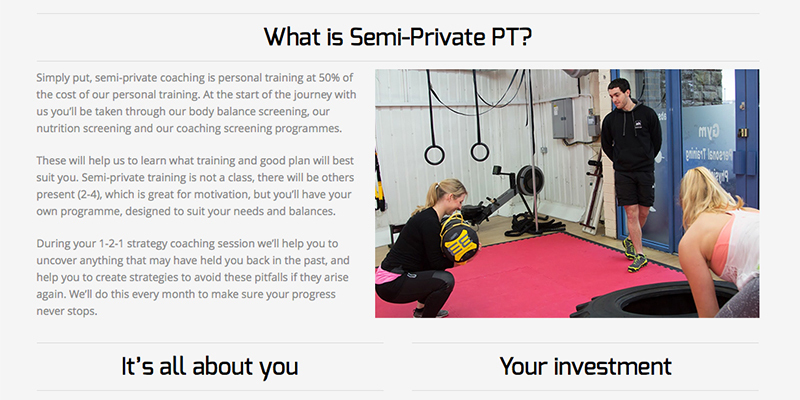 They came back to us with some minor changes which we implemented ready for the site to go live. 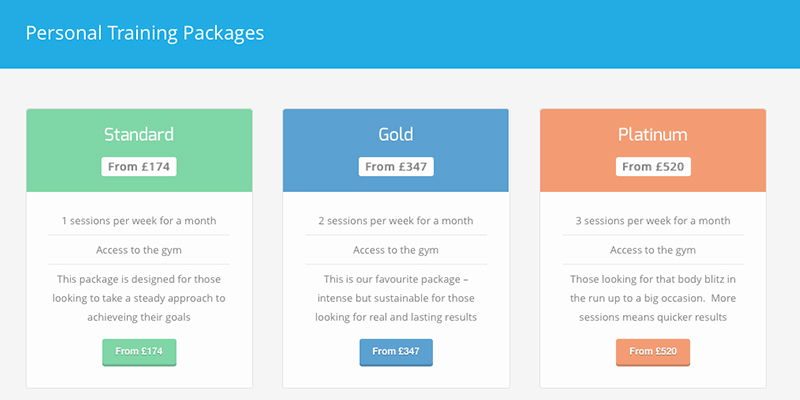 AH wanted to provide their gym members with login details for an exclusive secure member’s area on the website, which gives them access to free training programmes and a detailed nutrition plan, with lots of healthy recipes. We implemented this and AH were able to import all their current members from a spreadsheet to give them instant access. 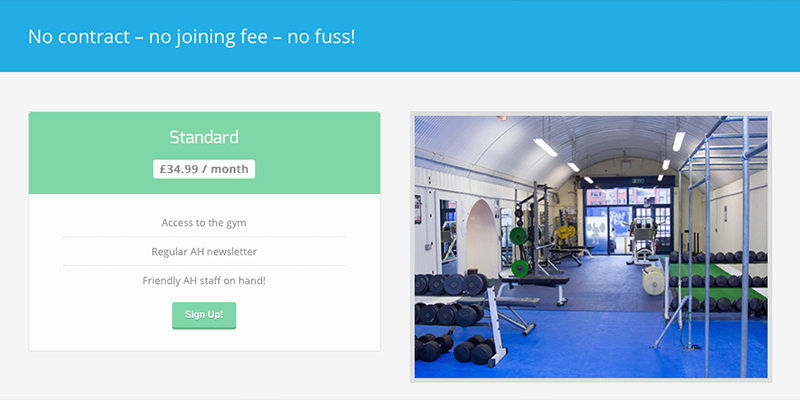 It was also very important that visitors to the site be able to easily join the gym and start making their monthly payments. 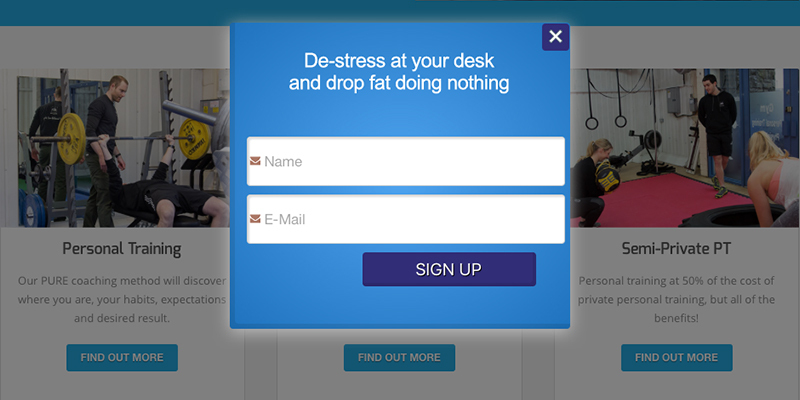 Ed also wanted to increase signups to his mailing list, so we implemented a pop-up which immediately increased signups by a whopping 50%. We provide ongoing website maintenance and our backup and update service to help keep all the AH sites running smoothly and continuously improving. In fact, some recent changes to their Viking 101 site resulted in an increase in applications of 78%. Ed is a true entrepreneur with lots of ideas, and he always has a new plan brewing, which usually means changes to the website or a new website all together and we look forward to hearing the next big plan! SOTO are my online project managers. Newsletters, Adwords, Google placement, website design, ecommerce, re-branding; the constant evolution of my business would be impossible without these guys. Trust and transparancy are the values we hold dearest in B2B relationship. SOTO deliver this as well as quality service by the bucket load.